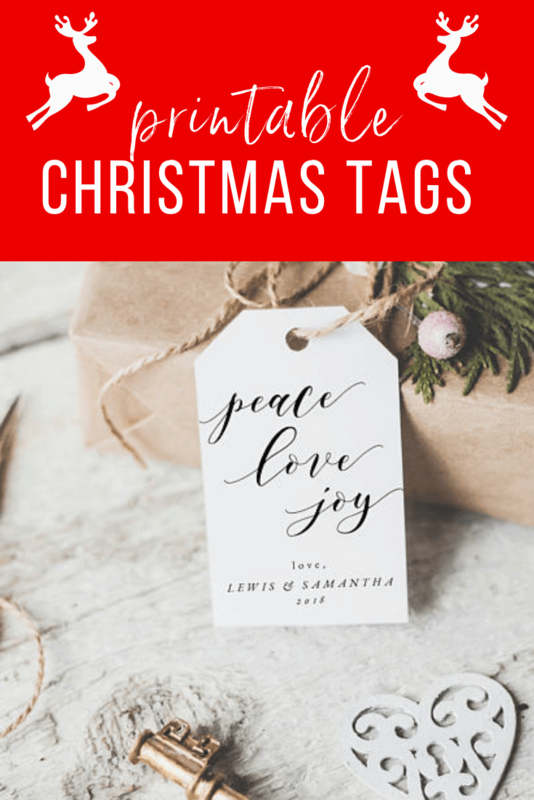 I think printable Christmas tags are one of the greatest things ever! 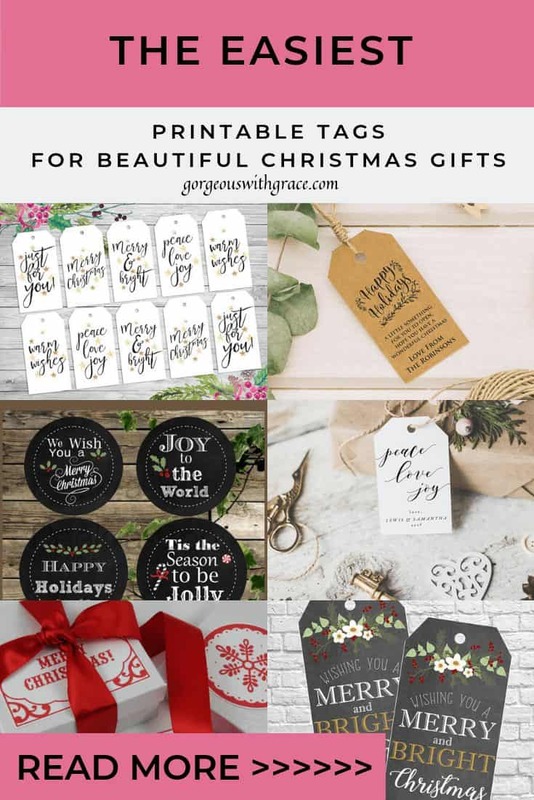 They are so incredibly cute and you can choose how many you want to print so they are cost effective. And you can use them time and time again as you would have purchased the download. Please note that this post may contain Affiliate Links. Please refer to my Disclaimer for details. 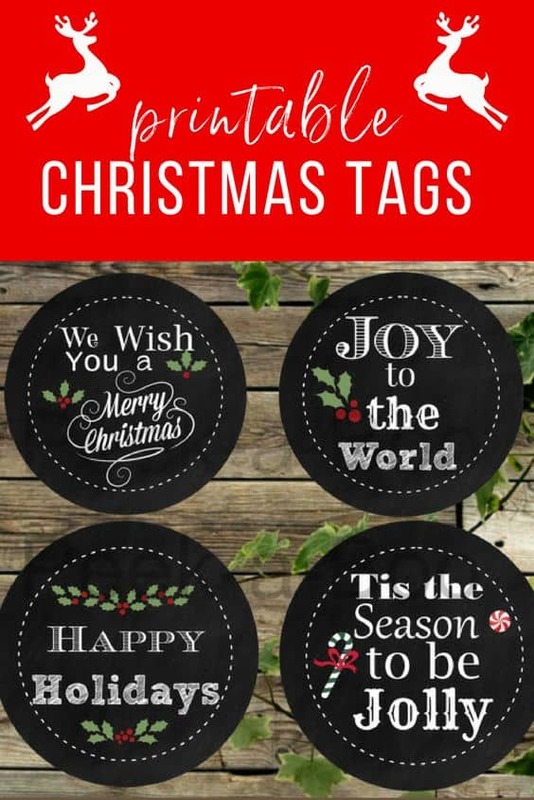 Don’t you love these round, chalkboard tags. There are 4 different types and they print 12 to a page. Don’t you think these ones are so pretty? 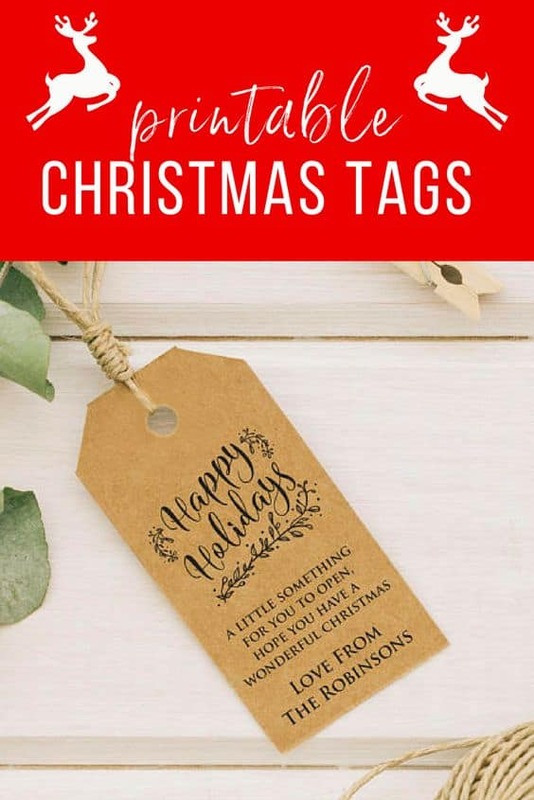 I love how you can personalize this tag to and from. 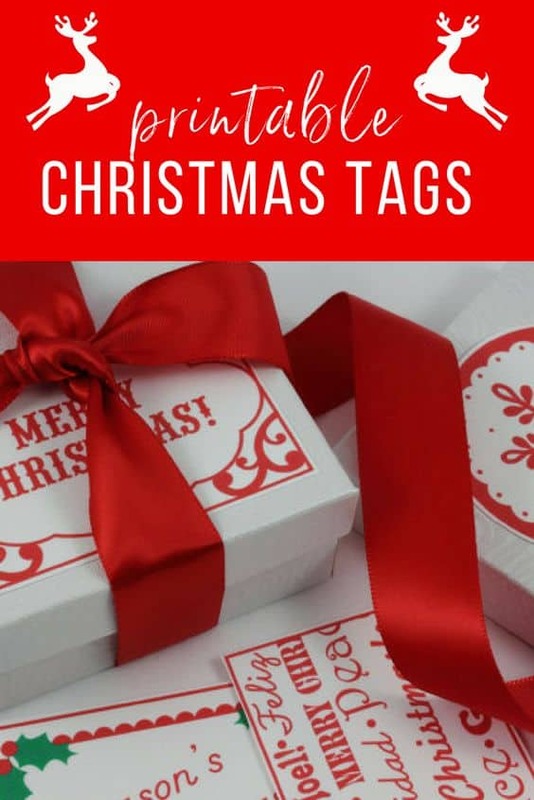 These tags are divine because they are customizable. So you can change who it is “love from”!! 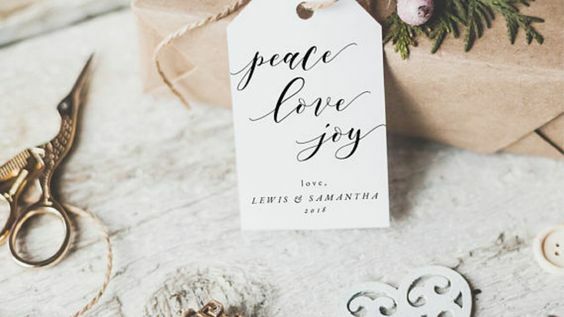 These are so lovely and perfect for a rustic Christmas look. 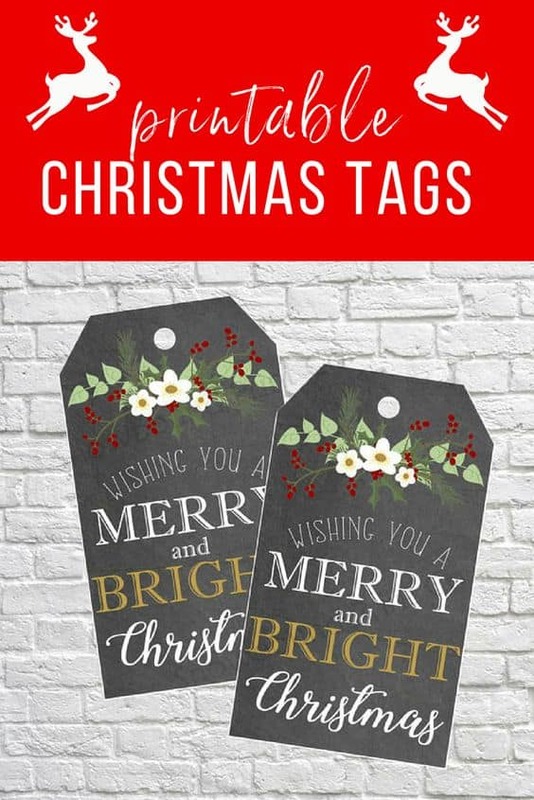 If you are into more vintage looking Christmas then these tags would be ideal. 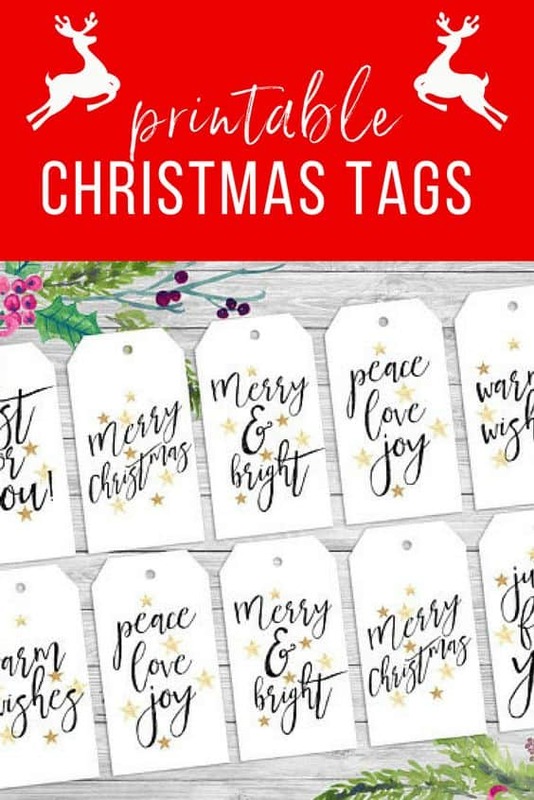 If you like a more traditional Christmas tag, these are gorgeous. This download actually has 5 pages of designs, with a total of 46 designs, all for $4!! Wow!! 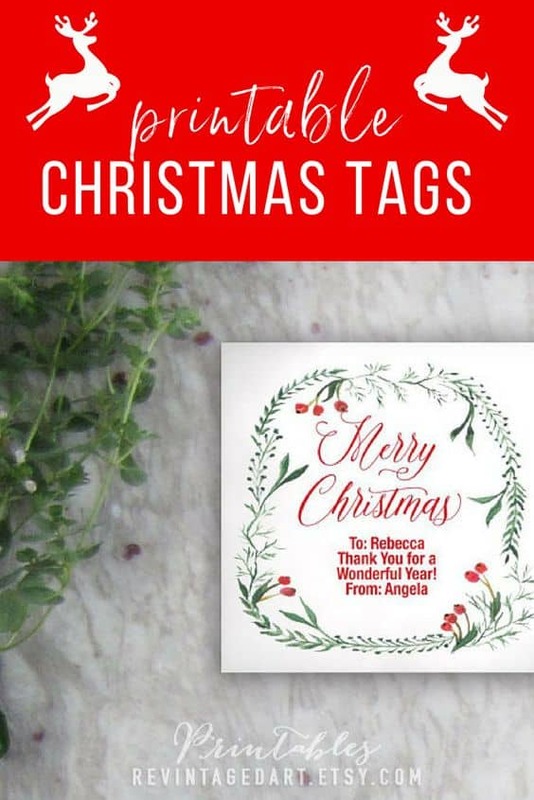 I was so excited to use these at Christmas, I hope you did too!